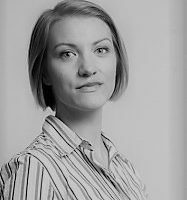 Taru Anttonen works as a researcher and coordinator in the green think tank, Visio, which is related to the Finnish Green Party. Previously she worked as the secretary general of Naisasialiitto Unioni (Feminist Association Union) and as the educational coordinator in the Green Educational and Cultural Centre in Finland. She studied sociology in the University of Eastern Finland (UEF). Much of the work which sustains society goes unrecognised. Politicians and experts from around Europe discuss experiences and policies in their country, and how to better account for domestic, care and other socially useful unpaid and often invisible forms of work. Vihreä Tuuma selvitti suomalaista köyhyyttä sukupuolinäkökulmasta. Millaista on suomalainen köyhyys sukupuolittain, entä millaisia ratkaisuja köyhyyden torjunnassa tarvitaan eri ryhmille? Looking at food banks and poverty in Finland with a gendered lens can yield insights into its causes and solutions.